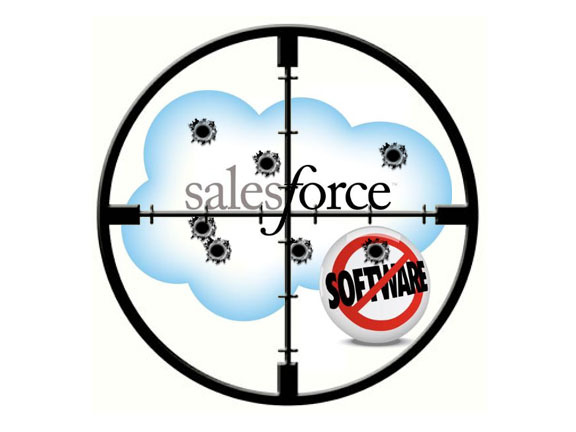 VatorNews | Salesforce blown away by Future Simple's Uzi? Do a search of SAAS, software as a service, today and you will get over 42 million results. But in 2000 when Marc Beniof’s Salesforce went public, you wouldn't be able to find that exact expression “SAAS” in their registration statement. What you will find, however, is the vision of shifting the platform from the user’s desktops, in the case of small businesses, and company ERP systems running on servers, in the case of large companies, and moving all of that to the Internet. At the time, others expressed that vision in different ways, often with terms like “ASP,” or application service providers. Regardless of the nomenclature, it was ultimately Salesforce.com that proved companies don’t need to have on-premise hardware, software and support to automate their sales force. However, it’s important to remember that the mission of any application, online or local, is to satisfy the goals of a user. In the case of a business application, that includes the business outcomes or pain of the purchaser (usually a manager at a large company) and the end user (in the case of CRM software that would likely include a salesperson of course). Just because an application runs online doesn’t make it better suited to meeting those goals. The solution has to create a user experience that gets the purchaser’s objectives accomplished without requiring months of training and frequent frustrations on the part of the end user that’s simply looking to get their work done faster and better. This is where Future Simple, makers of Base (formerly known as PipeJump), comes into the picture, especially for small businesses. Lorenzo Carver: Before you founded the company [in 2009], did you start with more of a vision for the product or more of a vision of an organization? Uzi Shmilovici: Well it was more of a vision for the product. You know, I looked at this industry and saw that it was broken. I saw that one in five people in the US works at a small business and there was a huge thirst in the market for better products for small businesses, especially around sales management, CRM, ordering, invoicing, and this kind of thing. The reason for this unmet need was because frankly you have this old school software that was written 30 or 40 years ago, Salesforce being one example, which is such overkill for small businesses. That’s from the cost perspective but even more importantly than that the user experience with these tools is just broken. So while there are many websites, web applications on the consumer side that deliver excellent user experiences, as well as physical products like the iPhone that also have an excellent user experience, you don’t see that in the world of business software. That’s because it’s still ruled by old thinking about databases and forms and so forth. So it [FutureSimple] really started as a vision for the product where we said there’s a really big opportunity here to create a user experience that’s unmatched that can make small businesses ten times more productive and help them stay on top of their business. Lorenzo Carver: Great. So how much time was there between the moment you came up with that vision and the moment you turned it into a company? Uzi Shmilovici: Yeah, we tend to move pretty quickly. I had been thinking of this idea for a while just because I had been using Salesforce at my previous company and I absolutely hated it. But I think that from the moment that I thought about making a company out of it to the point where we did the first launch was just a couple of months. Uzi Shmilovici: We were very thirsty to see the reaction from the market and to put something in the hands of the users. So it was pretty quick I’d say. Lorenzo Carver: What would you say is probably the most compelling business performance metric for PipeJump as of today, for instance the amount of time users spend with the application, month over month growth in users, customer satisfaction, something along those lines? Uzi Shmilovici: We’ll there are many of them. We see thousands of people sign up every month, and many of them are very active in the system. When I say very active they login a couple of times a week and do a lot of work within the system using the tasks, reminders, follow-ups and sales funnel. So we see an amazing level of engagement. But for me the most exciting thing to see is something we experience almost every day. We see many people transitioning from Hi-Rise, if you’re familiar with them, or from Salesforce and for me that’s the most exciting thing. Not because I see it as a completion for market share, but more for the fact that these people understand that there is a great alternative and that these users appreciate the better user experience they get with PipeJump. So this kind of thing where people acknowledge the importance of user experience is what motivates us to keep on going. Lorenzo Carver: Yes, that was certainly my experience. I was really impressed that you acknowledged that there’s a loading costs with a lot of these products in addition to the learning how to use them, just getting your data into the system can be costly. Uzi Shmilovici: You see here Lorenzo is a really funny fact for you. Internally I can tell you that we are massively disappointed with how the application looks today. We think it can be even ten times simpler and over the next couple of months you’ll see even more improvements, including an iPhone native app, an Android native application and tablet applications coming down the road. We really want to create a ubiquitous user experience. That’s why despite all the positive feedback we get continually about how the product is simple, I can tell you again our standards and our bar is much, much higher than that. Lorenzo Carver: Wow. We’ll I was also an early user of Salesforce back in 2000 or late 1999 after they launched the product. I think all of the comparisons you make are right on the money as far as small businesses are concerned, but maybe not with respect to larger companies. For small companies, it was pretty hard to setup and once you got it setup it was pretty hard to get adoption. In fact one of the CEOs of a company I started a while back, who had grown revenue at his previous post from $50MM to several billion, had seen both side of managing sales team, from a small company to a rather large company. 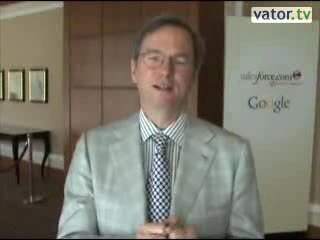 But even he with respect to Salesforce, at least back then, said he didn’t think the best Salespeople would probably use the tool largely because of the learning curve. Uzi Shmilovici: Yes, exactly. We’ve looked into this market a many, many customers. Salesforce was built for the sales manager, not for the salesperson. That’s why the user experience is so bad and it’s so hard to get user adoption. So basically what happens in bigger organizations is that you have the sales manager forcing the salespeople to use because they want to see the reports. So the sales manager gets customized, presumably powerful, reports and they are happy. But the people ultimately doing the job are not happy. Now when you take this experience and you move it to the small business, a lot of times the salesperson and the sales manager are the same person. Uzi Shmilovici: Either the owner of the business or a VP of Sales, VP of Marketing, and when we say small business I’m talking about companies that have less than 150 people in our case. So what happens is that they are frustrated with the systems themselves. In a large organization where a director, sales manager or VP of sales is pushing a CRM product onto people’s heads and therefore they have to use it. But in a small organization when the same person wanting a report or dashboard is also the person making the sales, they cannot tolerated this user experience. Changing topics quickly, I noticed on your manifesto on your site which I thought was great. Lorenzo Caver: One of the comments that you made in it was that In the long run, great products and fantastic customer service will prevail. Uzi Shmilovici: Yes, that’s right. Lorenzo Carver: So I guess that might not be a bad place to transition into some information about your capitalization. Uzi Shmilovici: Yes, so a couple of things about that. I think that the observation is absolutely right, but in today’s world with the Internet’s adoption everywhere it’s much easier to get into people’s hands than it was 12 years ago. So you see new companies getting into markets that were super concentrated before by huge incumbents that were overcapitalized. By creating a phenomenal user experience, some of these new companies have literally crushed the market. I would say examples are many, if you think about Dropbox going into a market with hundreds of competitors, some of them very rich, and killing it because of a phenomenal user experience. Another example would be Mint. You know mint went into a market that Intuit dominated. Intuit is a $3.2 billion dollar company last year, this year probably more than that*, they have a lot of capital. However they could not innovate fast enough. So you have an opening for companies to come in and create a phenomenal user experience and what Mint solved was the big problem of entering your personal finance data. So I totally agree with you that when the product a startup introduces into the market is the same as what other have in the market, because then you are competing on sales and marketing and that’s hard for small companies to do against bigger players. But if you compete on the product plane, on the user experience, then you end up with thousands of users every month looking on Google for PipeJump, which is what’s happening. They are doing branded searches. We don’t know who told them to do that or who told them about our product, but they are doing that. So when you get this kind of word of mouth, ease of discovery and ease of signup that you have today, I think that the rules of the game are changing there. The second part of it, and I still agree with you the company needs substantial capital to do that, but not as it was before. So I mean ourselves our first round in Chicago, slightly more than $1 million. We have phenomenal investors that are super supportive and super aggressive, super supportive of our results and very excited. Also, because of our traction we are bombarded by VC firms from Europe, from the Valley, from New York, from Israel where I’m from originally, and I can say that today we have more than 20 VC firms that are genuinely interested in being part of our next round. So it looks very positive for us, the only question is choosing the right partners that see the same things that we see and have the same vision, because we are on to building a very big company here. We are here for the long run and building for the long run, a substantial company that will compete with Salesforce and Intuit and be a huge force in the market. But most importantly to have this huge impact on small business software, since at the end of the day we always keep our eye’s on our customers, on making them happy and making them productive. This is what we want to achieve and I think that you can achieve this kind of impact only at a very big scale. Lorenzo Carver: Great. So that probably brings me to close to the last question that I have which is kind of your big vision for the company. So right now it seems like, at least from my perspective that you have kind of mastered a critical element of sales process automation. Really making the lead capture, nurturing and resolution processes approachable by anyone. Lorenzo Carver: And I think that’s a really big deal and will potentially help million of small businesses, since all 20 million or so small businesses in the US (even those without employees) can benefit from your tool. So that in and of itself would be a massive market. Uzi Shmilovici: Yes, of course. Lorenzo Carver: But from reading your site along with the descriptions of some of your personnel it seems as if there’s a lot broader than that. So perhaps you could quickly touch on what that bigger vision is. Uzi Shmilovici: Yes, you’re absolutely right. Our vision is broader than that of course. I guess it has a couple of layers. First let’s start with the philosophy that’s underlying, and I think that is best captured by Jeff Bezos word’s saying “it’s always day one.” We never rest. We launch a new feature, we’ll be happy our users love it and use it and then we’ll celebrate it. But that quickly we’re on to the next thing. So this is the kind of underlying philosophy for the company, because we know there’s a lot of work to be done and there’s a lot of innovation happening in this space. Then on the first layer of vision, we first went to solve what we call the “Lead-to-Cash Problem” for small businesses. They’re wasting so much time in trying to get existing systems to work for them and they simply cannot do it because they don’t have the right tools, like Excel or paper or complicated software. So we want to reduce the amount of administrative work and make them more productive while giving them much better control over the entire lead to cash process. So this is the first part of the vision. But if you talk about really longer term and how we the the world going forward, like I said we are a long term thinking company and you know business software is broken – period. Not just small business software – all business software. Companies like SAP, Oracle or IBM will not be the dominate players in this marketplace 10 or 15 years from now unless they innovate on the user experience. An analog would be that you don’t see people walking around with huge cell phones like you did 15 years ago. So we think there’s a lot of opportunity, but that with the bigger companies they have an old way of thinking and a different purchase process. Which is one of the reason it makes sense to help the people that need it most and can easily make the purchase, and this is the small businesses. Lorenzo Carver: Awesome. One last question on the capitalization piece, since you mentioned Mint and obviously Salesforce comes to mind when talking about your company. Do you know how much capital Mint raised during their first two years in business? Feel free to guess. Uzi Shmilovici: I don’t know the exact numbers, but if I remember correctly I think before they were acquired by Intuit it was in the range of $12 million or something like that? Lorenzo Carver: I think that based on Crunchbase, and I could be wrong, I think it was in the neighborhood of almost $30 million, with maybe half of that right before they got acquired. But the assumption being that a lot of that was earmarked for marketing, creating brand awareness and having the capital not just to compete with established companies but also with other upstarts in the space. For instance, I seem to remember another company in that space that I can’t quite remember. So similarly I think Salesforce in their first two years they raised something in the neighborhood of $63 million. Now obviously in 1999 when Salesforce started the infrastructure costs were substantially higher. In addition the costs of recruiting the best technical staff were also a lot higher, given the completion for people. But at the same time you can look at their income statements from that period and see that a fair amount of their private capital raises also went to marketing. Lorenzo Carver: Obviously back then there was a huge amount of customer education that had to take place. Lorenzo Carver: So based on that I’d have to think that your next round would have to be in the neighborhood of $10 million. That would be my guess. Uzi Shmilovici: Yes. Again, I think it’s hard to be a profit and say exactly how much we will need to raise. But there are two things like you’ve said. Salesforce when they started needed much more capital for infrastructure and for engineering than you need today to build amazing products. Mint, you’re right, they had to spend to build the brand, credibility and trust, after all you’re giving them your bank credentials. It’s not a small thing and I think they did a phenomenal job at that. On the otherhand, Mint was a consumer product. We are a business product, so we think we’ll be able to ramp up revenues faster than Mint could. That said, if you asked me to take a best guess at how much money we will need to raise to realize our vision, I would not be surprised if in total (not just the B round) it would be in the range of $25 to $30 million. That would not surprise me at all. Lorenzo Carver: Great. We’ll, I think you have an awesome company, love your product and wish you the best of luck with your goals for the space. I believe a lot of people could benefit from that. Uzi Shmilovici: Thank you Lorenzo. Fair Disclosure: Lorenzo doesn't have an interest in any of the companies mentioned in this article/post. 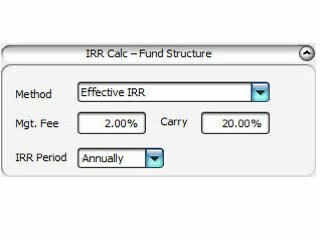 However, Lorenzo Carver recommended Intuit, a company mentioned in this piece by Uzi Shmilovici, to two investment professionals as a buy on or around August 18th 2011 with a 12 month appreciation target of 30%. 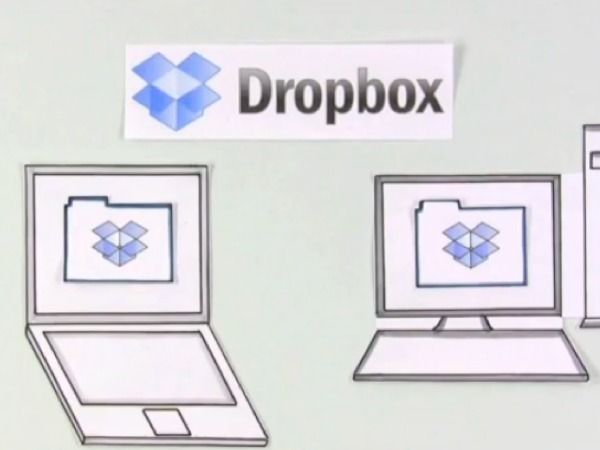 Dropbox valued by investors at up to $10 billion?